Lynn has a strong, soothing and sweet voice that can move you to tears with her original ballad "I Wish I Knew" or mellow you out when you hear the bluesy "You Know How it Is". As well as being an outstanding singer, she is also a gifted songwriter. Currently, she has just finished her new Country-Pop CD "MOVIESTAR" and also her first Christian Country Rock CD titled "Freedom". Both while on location at Red Alert Studios outside of Nashville, TN. These were both produced by the musical genius of Mark Slaughter of heavy metal "Slaughter" fame while one of the most awesome bands ever, "Hip Kitty" from Nashville provided the incredible music that you will hear on both of her CD's. Once you hear this new Diva of Country, Pop, and Rock, you will certainly want to know more about her. She is the epitome of a true success story. 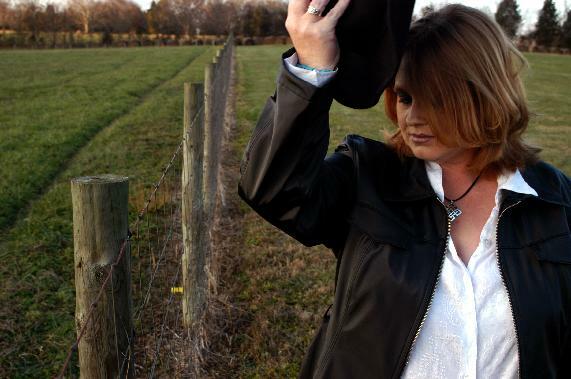 Her Country Pop CD is available at CDBaby.com and other online retailers. Or you can buy right here on this site. Keep checking back for updates. With Lynn, You never know what's gonna happen next! Ben- My incredible and handsome husband, thank you for supporting me and loving me. I love you. Disclaimer: You may view, download, and print contents from the Site subject to the following conditions: (a) the content may be used solely for information purposes, not commercial gain; and (b) the content may not be modified or altered in any way. You may not republish, distribute, prepare derivative works, or otherwise use the content other than as explicitly permitted herein. You may not frame or utilize framing techniques to enclose any trademark, logo, or other proprietary information (including images, text, page layout, or form) of Lynn Meza without the express written consent of Lynn Meza. You may not use any meta tags or any other "hidden text" utilizing Lynn's name or trademarks without her express written consent. You may not use logos, proprietary graphics, or trademarks from this site as part of the link without express written permission. This site and the content within this site are the property of Lynn Meza and are protected by United States copyright laws. The compilation, organization and display of the content as well as all software and inventions used on and in connection with this Site are the exclusive property of Lynn Meza and its webmaster. Lynn Meza reserves all rights in the Site and its content not specifically granted in any agreements with Lynn Meza. You do not acquire any ownership rights to any content in this site. Any unauthorized use terminates the permission or license granted by Lynn Meza. Page best viewed with a computer & monitor.